My favorite thing to say lately is "let's move this party outside", because we have officially created a sanctuary in our backyard, and I could not be happier. After a year of our patio being treated mostly like a construction zone, we decided to bite the bullet on a few outdoor purchases that made it all feel a lot more welcoming. It's amazing what a couch, some hanging planters, and a couple of rugs can do to really transform a space from sad to zen-like. 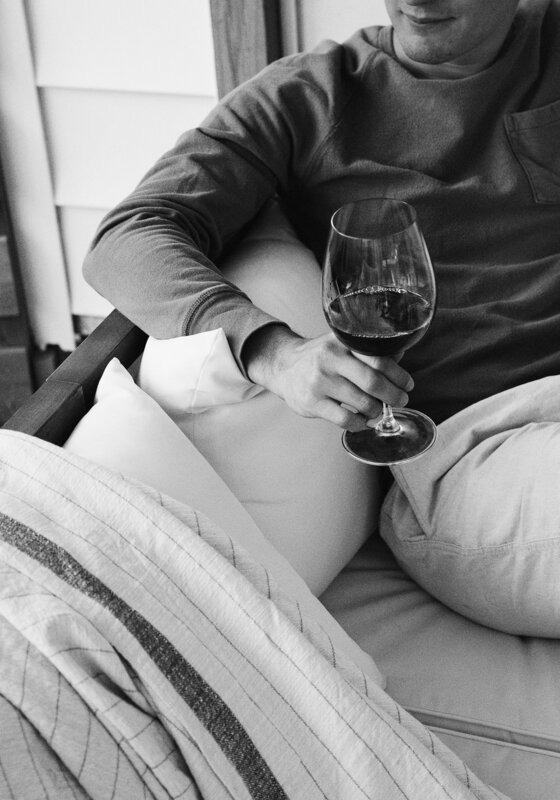 We still have miles to go in getting our outdoor space fully situated, but for now it's feeling like the perfect place to spend weekend mornings with coffee and a book, and warm evenings with a glass of wine, or two. 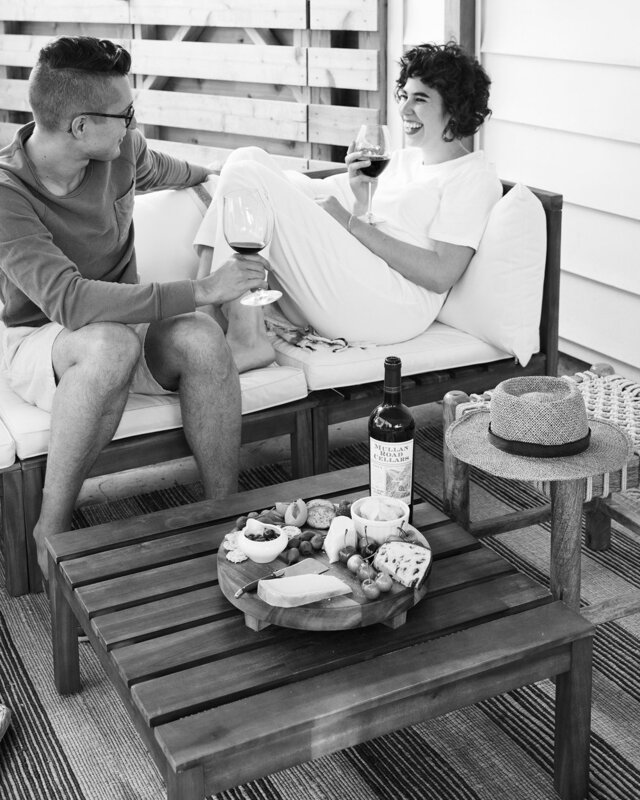 We were so excited to partner with Mullan Road Cellars when the opportunity arose recently, and to take this wine outside to enjoy in the summer air. We're always keeping our eyes and ears peeled for notable wines from lesser known regions, particularly Washington state. 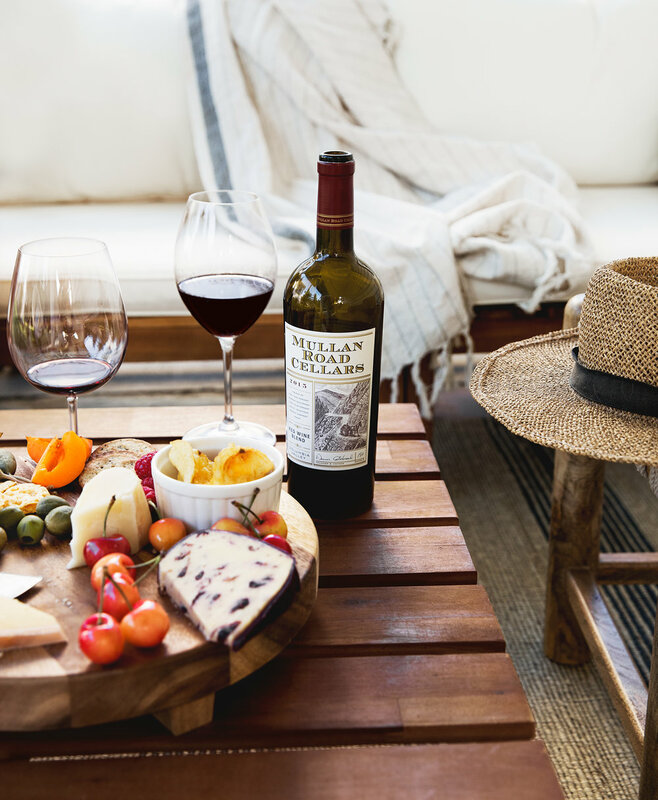 Mullan Road Cellars is a small production winery in Walla Walla, Washington from the owner Dennis Cakebread, of Cakebread Cellars in Napa, which probably sounds quite familiar. 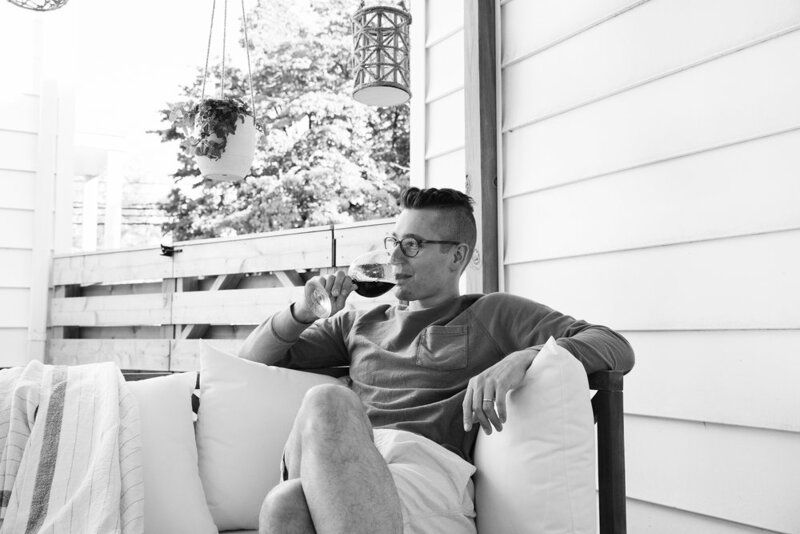 It's been great seeing more and more wine production head to that area over the years, as the Walla Walla winemaking region is near and dear to us. We've worked on photography and branding projects with winemakers in the area over the recent years, and during our last visit, grew to really appreciate the nuanced terroir, and style of wines that are coming out of the region. Mullan Road Cellars 2015 Red Blend is unsurprisingly big, bold, and drinks beautifully right out of the bottle. It's the kind of red I want to sip on with a hunk of heavy aged cheese, briney green olives, and salty crisps nearby. It's undoubtedly fruit forward, but not overpowering. With plum and blackberry coming in strong, it's rounded out with a hint of vanilla and spice. 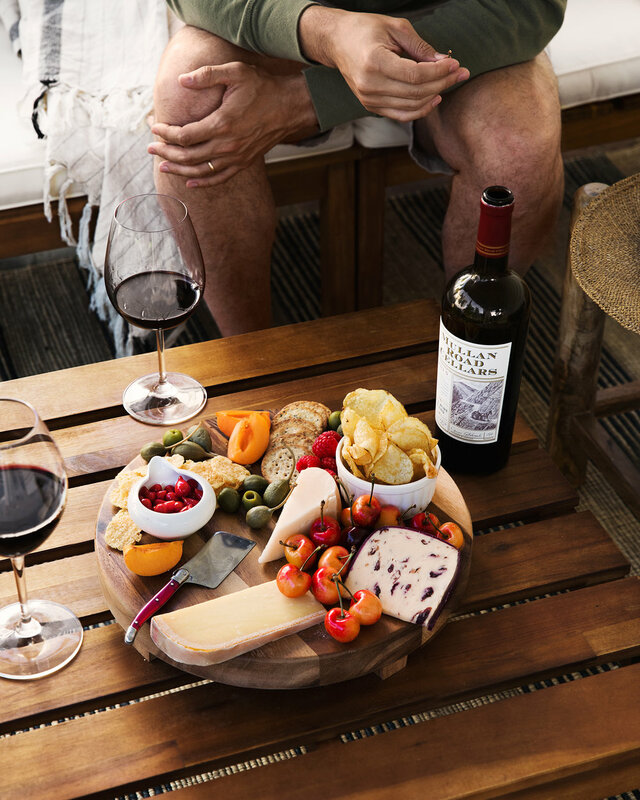 Putting together a cheese board for a wine pairing is always a cathartic experience for me. I take it as an opportunity to create an edible center piece, no matter how big or small the occasion. Part of it has to do with getting to discover new and interesting cheeses, (I'm a sucker for raiding the remnant pieces that they put in a basket at Whole Foods) and part of it has to do with the seasons. 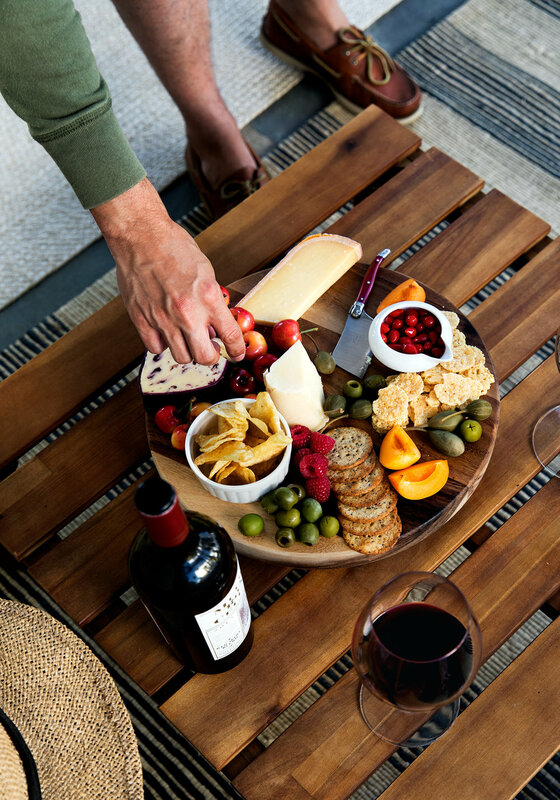 It's all about balancing the particular wine with the spread, and as we're headed straight into prime fruit season, I loaded this board up with Rainier cherries, ripe apricots, and sweet drop Peruvian peppers to compliment the aged gouda and caper berries. Originally, it was supposed to have some local, deliciously perfect strawberries as well, but I accidentally devoured them before they could make it to board... classic Jill. I always look forward to seeing Rainier cherries suddenly appear this time of year, they're far too beautiful not to display prominently. Other things I like to keep on hand for creating a board like this? Fancy potato chips (my long-standing favorite is Natural Nectar's Oolala Potato Chips in Porcini-Rosemary and Olive Oil), GF everything crackers, and parmesan crisps.